What if the Seahawks want a big receiver? John Schneider and Pete Carroll didn’t rate the 2012 class of pass-catchers, ignoring the group completely. Instead they tried out Terrell Owens, Braylon Edwards and Kellen Winslow. Edwards lasted a little while on the active roster before getting cut. Owens and Winslow didn’t make it out of camp. I guess it was worth a try? Of course they also made other moves — Jermaine Kearse ended the year on the active roster and Charly Martin saw snaps early in the season. Yet the amount of work put into this position — not to mention the turnover — suggests the Seahawks weren’t completely satisfied. Some form of draft (or free agent) investment seems likely. One of the first things Carroll did in Seattle was to invite Brandon Marshall on a sea-plane for a weekend’s visit. Marshall was a restricted free agent and could’ve been signed for a first round pick (Seattle had two in 2010). The Seahawks clearly didn’t think much of the price tag and probably hoped to get a deal done for their high pick in round two — #40 overall. Marshall eventually went to Miami for a pair of second rounders, while the Seahawks used their second round pick in the Charlie Whitehurst trade instead. There were some rumours about interest in Vincent Jackson during his hold out in San Diego, although no offer was forthcoming when he eventually hit free agency last year. The Seahawks got two seasons out of Mike Williams, one more successful than the other. All three players have one thing in common — size. Owens (6-3, 224lbs), Winslow (6-4, 240lbs) and Edwards (6-3, 215lbs) are all big targets. And it’s a hole the Seahawks never really filled. Despite spending big money on Sidney Rice (6-4, 205lbs) — he’s more tall and lean than physical. Seattle’s options at receiver seemed to look brighter every week with Russell Wilson growing into a franchise quarterback. By the end of the season, Rice, Golden Tate, Zach Miller and Doug Baldwin were featuring regularly. Anthony McCoy got a lot of focus in certain games where he was a bigger feature in the gameplan. Wilson was spreading it around nicely. Yet despite all of that, you can’t help but watch him throwing to Larry Fitzgerald and Vincent Jackson in the Pro Bowl and just wish he had that big bodied, physical receiver for the redzone. It’s the only thing missing within a balanced and talented offense. They’ve got speed, power, a good offensive line and a tight end playing as well as any in the league at the end of the season. You’re not going to find another Fitzgerald in the draft any time soon, perhaps not even for a generation. Jackson has also proven to be one of the more productive receivers in the NFL. But that doesn’t mean the Seahawks can’t still find their own version. Is a big target more likely than some of the other wide-out options available in this class? Someone who will consistently win in single coverage? Someone who can move despite playing above 6-0? A difference maker on the field because he’s difficult to match-up against, you need height, strength and power to combat his skill set? A player with strong hands who can act as a safety net? I could spend every day until April telling you how good Robert Woods, Markus Wheaton and DeAndre Hopkins are. All three share similar characteristics when it comes to attitude, competitive nature and an ability to make big plays. Woods and Wheaton have speed and agility, Hopkins is Mr. Consistent. I could write an article tomorrow saying why all three would be great picks for Seattle. At the same time, are they going to improve Seattle’s receiving group substantially to warrant the high investment? Do they bring a different skill set to the table? Wheaton and Woods aren’t going to win many battles against big, physical corners. You’ll have to manufacture their production slightly, using a lot of WR screens, bubble screens and shorter routes. You’re looking to get them the ball in space, set up blockers. You’ll try deep shots but it’s very difficult to run in behind a modern NFL secondary, so can they compete in the air if they have to come back for the ball? Golden Tate has shown he can do that despite his size. He’s also a playmaker with the ball in space. Do the Seahawks necessarily need another? Hopkins has superb hands and body control, but he could do with adding some size. Roddy White is around 10lbs heavier than Hopkins. If he can get bigger without it impacting his mobility and speed, then he could be great. Whether he can have an impact at his current size remains to be seen. Sidney Rice has some of the characteristics you see in Hopkins, although Rice is three or four inches taller and he’s faster. Hopkins could be a route runner at the next level and he finds ways to get open. He’d be a reliable target for Russell Wilson, but is he crying out for reliability? Apart from the game at San Francisco, Seattle’s receivers were pretty consistent catching the ball in 2012. There aren’t many big targets available in this draft class unless you look at the tight ends, but there is one player who could be of some interest. I’m not a big fan — as noted in this article back in November. He’s 6-2 and around 210lbs. He plays with a competitive edge. He will go up to get the football. He has strong hand and looks like a solid possession receiver with some athletic qualities. And he could offer another dimension to the passing offense. For the last few weeks I’ve been grading Keenan Allen as a second round pick. I still think he probably will be a second round pick, but you look around the internet at the ‘high profile’ draft personalities and a lot of them rank Allen among the top juniors. Only this week Scott Pioli listed him among his favourite underclassmen this year. Undoubtedly Allen suffered due to poor quarterback play at California (although it was his decision to play with his brother, he had plenty of alternative options). He’s an athletic player who could’ve gone to play safety for Nick Saban in Alabama. He’s extremely competitive and with a competent NFL signal caller we might see his best football at the next level. However, a lack of elite speed (he was only running a 4.57 in high school and has since added weight), injury concerns that ended his season prematurely and needs elsewhere could push him down the board. I think round two, others think high first round. It could end up being somewhere in the middle — as in the late first. The Cal quarterback Zach Maynard is so limited as a downfield passer, we rarely got to see Allen tested on deeper routes or competing in the air. Cal essentially had Allen run a lot of shorter, inside routes almost always coming back to the quarterback. When Maynard was asked to throw deep, he really struggled for accuracy and velocity. In the video above you see him missing Allen downfield against USC, unchallenged when he was wide open. We might not get a full appreciation of Allen’s potential until he takes the field as a pro. There’s a good chance the Seahawks will wait until later in the draft to add a receiver, particularly given the needs on defense with the pass rush. I still wanted to throw Allen’s name out there tonight. I don’t think it would’ve gone unnoticed how good Wilson looked throwing to those big targets in the redzone in Hawaii. If they want to add a different type of receiver to this roster, then Allen could be one to monitor. Personally, I’d wait to see if he lasts until round two. Will the Seahawks target pass catchers in round two? The 2011 and 2012 drafts brought in a new era for the NFL with the rookie pay scale. Instead of contracts worth $60m guaranteed, #1 overall picks were now signing fully guaranteed $22m deals. Since the pay-cap was introduced we’ve seen seven quarterbacks drafted with top-12 picks. Teams know it’s much less of a gamble these days to chance your arm on a quarterback. To win in this league you need an effective signal caller. The teams picking in the top ten know this because most found out the hard way. Kansas City had multiple players at the Pro Bowl but finished with the leagues worst record. Why? No quarterback. Drafting Luke Joeckel to replace Branden Albert won’t solve this problem. Andy Reid can’t start off his regime with another year of second-guessing at the position. He has his pick of the group with the #1 pick. While there’s no Andrew Luck or Robert Griffin III out there, he’ll surely identify a quarterback he believes he can win with. Once the first quarterback leaves the board, others will fall. We could see three or four going early. This is the way the NFL draft appears to be heading. The potential benefit of finding a franchise quarterback far outweighs the gamble of drafting one in the first round. We could also see a run on defensive ends and defensive tackles — two positions that’ll probably be quite high on Seattle’s radar. In this weeks mock I have nine defensive line prospects leaving the board before the Seahawks are on the clock. Last year seven defensive lineman were off the board before the #25 pick despite none going in the top ten. This year we should see multiple early picks. The Seahawks need to improve the teams pass rush as a priority, but they can’t and almost certainly won’t force the issue. There will come a tipping point when they have to look elsewhere. This could impact how they approach free agency. If a Henry Melton, Randy Starks, Cliff Avril or Osi Umenyiora makes it to the open market, do you start writing cheques? Can you afford to go into the draft knowing if you wait until the 25th pick you could be looking at the tenth best defensive lineman? Or worse? I like to mix things up with the mocks — offer different suggestions and create debate. I’ve gone in a different direction this week – Khaseem Greene at Rutgers. I’m not the first person to make this projection for the Seahawks in round one, but it is a pick I can see this front office making. Following Leroy Hill’s latest arrest, the WILL linebacker position is going to come into even greater focus. Unless Malcolm Smith is going to be given a full-time starting role, there’s every chance we’ll see another linebacker drafted early by the Seahawks. It’s hard to pass on players like Zach Ertz, but it could be argued the WILL is a greater need — especially given the emergence of Anthony McCoy as a more consistent performer. Round two is rich with receiver/tight end talent and could be earmarked for a pass catcher. That’s the direction I’ve gone for in this weeks mock. Greene has exemplary character, the kind of speed this team craves along the front seven and he just looks like a Pete Carroll/John Schneider pick. He’s also one of the best blitzing linebackers I’ve watched for a while, so he could potentially add to the pass rush. Whether you agree he’s worth a first round pick or not, it’s hard not to accept he’s probably going to be on the teams radar. As always, let me now what you think. Kansas City needs a quarterback. Barkley should be the first to go. Floyd has a ton of upside and could be ranked higher than the edge rushers in this class. Whether they’re stuck with Carson Palmer this year or not, the Raiders might decide to start planning ahead. Chip Kelly needs to rebuild Philly’s offensive line. The Lions could use an edge rusher, especially if they lose Cliff Avril. The complete cornerback prospect. He deserves to go this early. They need a quarterback. If they can convince themselves Glennon is good enough, they should take him here. Ogletree is a star in the making. Putting Lotulelei alongside Muhammad Wilkerson and Quinton Coples would give Rex Ryan the three-man front he craves. They need to draft a left tackle. If Moore falls a bit he could find a home playing across from Cameron Wake. The Buccs will likely target cornerbacks early. He’s a space eater, not a pass rusher. I’m not a big fan. Others are. The Saints need a pass rusher for their new 3-4 defense. Jeff Fisher does a ‘Gangnam Style’ dance if this happens. This could be Pittsburgh’s biggest need. He’d make a great power end to compliment DeMarcus Ware. The Giants like drafting solid, productive defensive lineman. Unless they go the free agency route, this is Chicago’s priority. A possible replacement for Michael Johnson who could depart? Sparky safety prospect that would fit like a glove in St. Louis. Cooper will be be a staple in the league for 10+ years. An enigma who could go top-15 quite easily. Converted safety prospect who looks like a John Schneider draft pick. This would be a great replacement for Jermichael Finley. Would they consider adding some size up front? Peyton Manning would love this guy. The spinal stenosis issue could lead to a fall. Someone will take a shot. An ideal replacement for the ageing Michael Turner. Tough shoes to fill, but the Ravens often look for value in round one. #42 Miami – Sylvester Williams (DT, North Carolina) – possible Randy Starks replacement? No Damontre Moore or Sheldon Richardson. It’s an interesting list, but perhaps focused towards the 3-4 defense Pioli was scouting for before he got fired. Floyd would make a fine five technique while Johnathan Hankins is a classic space eater who takes up blocks but offers very little pass rush. Bjoern Werner and Jarvis Jones are capable of rushing the edge in the 3-4, in fact Werner could play end or outside linebacker. Sheldon Richardson looks like an ideal fit for 4-3 and you have to believe it’s the main reason he isn’t part of the list. But maybe we have to start considering Floyd — with his massive upside — as the #1 defensive tackle in this class? For the offense it’s a surprise to see Eddie Lacy that high but there’s every reason to believe he will be an effective running back at the next level. All being well he should be the first runner off the board. Pioli took Jonathan Baldwin in round one so it’s not too surprising to see he ranks Keenan Allen highly. Personally I think, like Baldwin, he’s only worth a second or third round grade. Gavin Escobar ranked as the top tight end above Zach Ertz and Tyler Eifert is a big headline, but even more striking is that he’s in the top ten at all. He’s a thoroughly modern tight end — big, fast, gets downfield. He offers no blocking qualities but he’ll be a pass catching force. There’s every chance he could work his way into the first or early second round. We’ve talked a lot about how unpredictable this draft is going to be and Pioli’s list is another great example of that. Last week Desmond Trufant was an expected third round pick. Tony Pauline quoted league sources that he’d be a first round lock. Now several other members of the media are falling over themselves trying to claim they knew all along. It was a surprise, there was a tone of surprise in Pauline’s Tweet. It was just the latest chapter in a story that’s going to keep us guessing right up to April 25th. This will be the hardest draft in years to call. Whatever your view of the players listed or Pioli as a talent evaluator, it’s a great insight into how teams might be looking at this draft class. And it might indicate while the likes of Dee Milliner and Sharrif Floyd are unlikely options for the Seahawks at #25, maybe it isn’t completely impossible after all that a player like Sheldon Richardson or Zach Ertz comes into range? Apparently he’s one of the biggest draft sleepers in the 2013 class. Wednesday is mock draft day on Seahawks Draft Blog — and I want to keep pumping out different scenarios. I wouldn’t ever try to fool anyone into thinking my mocks are any great insight into what will actually happen. I just want to create debate, present options and see how this thing shakes out. If I did the same prediction every week, I’d be trying to tell you I knew what was going to happen. And nobody knows that. So we’ll keep coming up with different ideas. The problem is, the draft this year is pretty confusing. It just looks so wide open. My suspicion is that the Seahawks are going to have an unexpected player fall into their direction. Maybe more than one. And if that happens, they still might pick a guy like Khaseem Greene anyway and get another D grade from Mel Kiper. It could be one of those drafts. Again. There’s a clear need to add a pass rusher or two — will the first round of the draft fill that need? We could see 7-8 defensive lineman leave the board before the #25 pick. Maybe more. So unless they trade up or turn to free agency, the Seahawks could be picking through the remains of a defensive line carcass. So what is the second or third options? A receiver? Tight end? Linebacker? Every now and again little pieces of information come out — such as the sudden league-wide interest in Sharrif Floyd or Desmond Trufant. You peel back the layers and learn more. But even then, you’re really only scratching the surface. Whatever happens the Seahawks are going to get a good player at #25. This is a better draft class than maybe most people expected going into the new college season. The hard part is working out what the Seahawks — a team that appears to take pride in thinking outside of the box — is going to do next. We’ll have another go tomorrow. The three technique position is difficult to judge. If you look over the last few years, so many players have been drafted in round one and it hasn’t worked out for whatever reason. And then you have Geno Atkins — the best three technique in the league — going in round four of the draft. Henry Melton was also a fourth round pick. Darnell Dockett went in round three. So there’s no exact science to finding that elusive interior pass rusher. The Seahawks can’t be too cute given their extreme need at the position. The roster has developed quicker than anyone expected and finding a pass rush this off-season could be the difference between being winners or merely contenders in 2013. Having said that, you can’t force the issue. And picking 25th overall makes it difficult to say, “we’ll solve this problem in round one of the draft’. They might have to look seriously at free agency and get the cheque book out. Or they might have to search for that next mid-round steal. If they can find a franchise quarterback in round three, why not a good, pass-rushing defensive tackle? Out of all the players I’ve looked at so far, Penn State’s Jordan Hill is one of the players to keep an eye on in those mid-to-late rounds. So what does he do well? He’s 6-0 and 295lbs and plays with good leverage. If he gets a sniff of a gap he often takes advantage, using his speed to get into the backfield. In a 1v1 match-up he holds his own in the run game, holding his position with surprising power at the point of attack even against top offensive line opposition such as Wisconsin. Hill’s a fighter — a relentless bundle of energy who defined his teams attitude last season. He chases outside of the tackle box, doesn’t give up on plays and often executes via the second effort. In the Senior Bowl he struggled a bit to generate pressure against a double team, but it was testament that the lineman even in that environment were consistently locking onto him and trying to shut him down. Although he didn’t challenge the quarterback against the double team, he more than held his own and managed to hold position. The Seahawks don’t have enough players on that defensive line right now that warrant a double team. He doesn’t flash a great bull rush and he could do a better job finishing — his closing burst is average and when he gets into the backfield sometimes, he pressures rather than finishes. His hand use is adequate but not exactly aggressive, while sometimes he takes too long to shed blocks. On the other hand he’s shown an effective lunge to avoid contact, a nice swim move and he’s agile enough to beat a man with a quick first step and break free. There’s very little injury concern here and he’s an exemplary character off the field. At a time when Penn State needed warriors, Hill stepped up to the mark. I don’t expect him to be the next great pass rushing three technique. It’s one of the most difficult positions to grade. Take away the sheer importance of the quarterback position and projecting three techniques might be the hardest thing to do in the draft. There really does seem to be a ‘born to do it’ type aspect to it. Even a guy like Gerald McCoy — who looked like the most perfect three technique you’ll find — hasn’t played up to the extreme quality he showed at Oklahoma. You kind of need to be made a little differently. Be edgy. Hill might be restricted to a nickel role at the next level, working on passing downs and using his agility to create pressure. Even so, I’d still consider taking a shot on the guy. He’s a baller and the type that might just surprise you at the next level. If he can try and get a little stronger in the upper body and work on his closing speed, there’s no reason why he can’t find a home in the NFL and feature on early downs. Nobody should panic if Kawann Short is the best defensive tackle available when the Seahawks are on the clock. He’d be a fine choice with the #25 pick. The beauty of the Senior Bowl isn’t to sit and read countless differing opinions of the work outs or wax lyrical about performances in the game. It’s about noticing little qualities, taking on board information and then going to back to watch more tape. Which is exactly what I did after watching Short dominate during Saturday’s game. Sometimes your initial impression can be wrong. It takes that second look to get a more accurate opinion of a player. My lasting impression during the 2012 season was an image of Kawann Short taking plays off against Ohio State. I’d read other people voice such concerns going into the game, and there it was on the tape. I watched further games and picked up on the occasional play where he’d engage and take a block without showing any real effort to progress. Whether he was gassed or whatever, he wasn’t playing with maximum effort. That lingered. Yet I’m watching the Senior Bowl and here’s a guy who’s lost about 10-15lbs, looks refined and not as sloppy in the midriff. So I go back and watch six games (all of which you can see for yourself at the bottom of this article). I was wrong to concentrate too much on those plays taken off and it did cloud my judgement a bit. Crucially, what he does well is exactly what the Seahawks need to add to their defensive line. At times it was impossible to block him 1v1, he needed a double team. Given the way Seattle’s defensive line operates with a LEO and three technique placed to the exaggerated right, it’s going to be very difficult to double up on Short even at the next level. Not even Sheldon Richardson flashes a comparable ability to get into the backfield. He generally does a great job getting off blocks using nice hands and flashing great athleticism for his size. He’ll shoot a gap effectively and gets a nice quick burst off the snap. He’s shown decent ability on stunts to skip wide and attack from a different angle. You see the swim, club and spin moves — so he’ll be creative and keep an offensive lineman guessing. When he gets low and drives into his blocker he can flash a solid bull rush. Sometimes he gets too high and loses leverage but this is coachable. When he was lined up as a three technique by Purdue, he had consistent success. He also played the one technique and nose. He’ll stack and shed at the line of scrimmage, he’s strong enough at the point to be effective against the run. Footwork is an underrated feature among tackles and he doesn’t take many wasted steps, he gets off the line and is moving quickly immediately. He can be crafty, often stopping as if beaten only to counter and explode again to deceive a blocker. As you can see from the tape below, he’s capable of pursuing elusive quarterbacks to make plays (eg Denard Robinson). Out of all the tape I’ve watched this year, Short clearly had the most tackles for a loss among DT’s. He’s been voted a team captain two years straight and hasn’t had any notable injuries so far. Apparently he opted not to declare last year after receiving just a third round grade from the draft committee. I highly doubt he’ll last until round three in April. That’s not to say everything is positive. He looked bigger on tape than he did at the Senior Bowl so conditioning could be a problem. It’s nice to see he got in shape for the NFL scouts and it might not be a problem working within a pro-fitness programme. He looks better with the weight off and seemed to play even quicker. Short has quite a lean lower body and you’d like to see him get bigger in terms of muscle mass. He’s going to need to drive with his legs and at the moment his top half is considerably bigger than the bottom. Unlike Sheldon Richardson and Sharrif Floyd, the motor seems to stop running when the play moves away from his part of the field. Richardson almost turns into a linebacker when the play kicks out wide, tracking the ball carrier and often being the one to make the decisive tackle. Short, more often than not, shuts down and doesn’t make that same extra effort. His ball location could be better at times. It’s not a major issue, but he sometimes makes the initial penetration and reads the play incorrectly — tackling a running back on a quarterback keeper or vice versa. It’s nowhere near as bad as Datone Jones for example, but it could still be an area of improvement. You’d like to see more of a violent streak. He doesn’t tend to play ‘too nice’ like Sharrif Floyd, but he’s also the consummate pro. Usually that would be a major positive, but this is the three technique position. A little nasty here is generally a good thing. The other issue is age. He’ll turn 24 this Saturday. In comparison, Floyd isn’t even 21 until late May. The Seahawks took a chance on a 25-year-old rookie in Bruce Irvin last year, but you have to get an impact from a player giving up 2-3 years on other rookies. There’s quite a few ‘older’ rookies this year — Sylvester Williams (25), Star Lotulelei (24), Margus Hunt (26) will all be in their mid-20’s. I suppose it could be worse, they could be Brandon Weeden (29). Upside and room to grow is understandably limited among older players entering the league. Kawann Short is going to be a solid any-down tackle who offers an interior pass rush in base while maintaining strong run support. You might need to keep an eye on his weight and manage his snaps, but most teams do that with their defensive tackles anyway. In many ways he compares favourably to Randy Starks — a free agent who could be on Seattle’s radar in March. The Seahawks need someone who can play first and second down and collapse the pocket. While Short’s upside isn’t as high as Sharrif Floyd’s and he lacks the ‘born to be a three technique’ nature of Sheldon Richardson, he’s probably the next best fit. The Seahawks could do a lot worse than draft Short in the first round. Check out the tape below. Tomorrow I’m going to do a piece on a player they could target if they opt to draft a defensive tackle in the middle rounds. 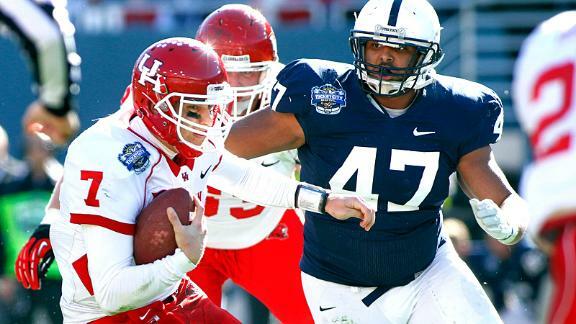 If you’re looking for a player who could be the next Geno Atkins, Penn State’s Jordan Hill could be the guy. Which teams could take a DT off the board? Sheldon Richardson, Star Lotulelei, Sharrif Floyd, Kawann Short, Sylvester Williams. Five defensive tackles, all of which could be on Seattle’s radar with the #25 pick — especially if they’re unable to address this need in free agency. But how likely is it they’ll be available? Which are the teams capable of making life difficult for the Seahawks? It seems like Jacksonville’s pass rush has been terrible for a long time, but it has to be Gus Bradley’s first port of call as he improves this team. A big trade up for Derrick Harvey in 2008 didn’t solve the problem. They claimed Jason Babin towards the end of the season but he turns 33 in May. Rookie Andre Branch didn’t feature much in 2012 and had just one sack. They need a pass rusher. The question is — do they look at the interior rushers (Richardson, Lotulelei, Floyd) at #2 or do they target an edge rusher like Bjoern Werner or Damontre Moore? Improving the edge is a greater need, but the interior talent might be superior. One of the few strengths Oakland had in 2012 was the defensive line, particular at tackle. Desmond Bryant developed into an effective force while much maligned Richard Seymour did a better job than most are willing to give him credit for. The problem is, both are free agents in 2013 and the Raiders are $4.5m over the salary cap. If they manage to keep Bryant they have the option of moving the talented Lamarr Houston inside and letting Seymour walk. In that scenario, they’ll almost certainly target edge rushers, a quarterback or a left tackle. If they lose both Bryant and Seymour, it increases the chances they’ll consider drafting one of Lotulelei, Richardson or Floyd. Chip Kelly appears set to switch to a 3-4 defense and it opens up the possibility of looking at the defensive line. If Luke Joeckel goes before the #4 pick, the Eagles could go in a number of directions. They could draft a quarterback. They could draft another left tackle, such as Eric Fisher (much depends on the health of Jason Peters). 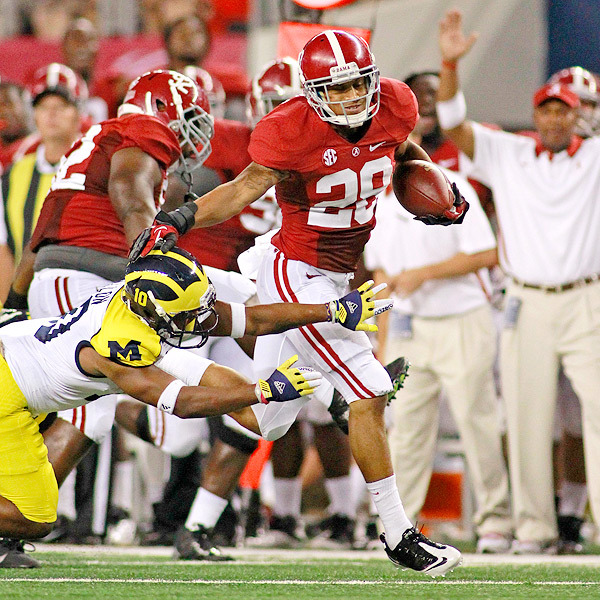 They could draft a much needed cornerback like Dee Milliner. Or they can anchor the 3-4 by going big up front. They don’t have an obvious nose tackle on the roster and could also use some help at the five technique. Lotulelei is more than capable of manning the nose at 325lbs and his excellence against the run makes this a great fit. Richardson and Floyd can both play 3-4 defensive end. The Titans ranked ninth for sacks and have bigger needs, but they don’t have a great defensive tackle. It really depends what they want to get out of the draft because at the moment they’re drifting into obscurity. They fired Mike Reinfeldt as vice-president but kept the man he appointed to be GM (Ruston Webster). They’re bringing in disgraced defensive coach Gregg Williams to support likely lame duck Mike Munchak. Surely they need an impact player? That could lead them to the tackle class. Chance Warmack plus any of the defensive ends or cornerbacks should also be an option. This could go either way, but ultimately there are people trying to keep their jobs in Tennessee. So which position will provide the greatest return in 2013? Randy Starks and Paul Soliai created one of the more dynamic defensive tackle tandem’s in the NFL in 2012. The only problem is, Starks is a free agent. There will be greater priorities for the Dolphins — Jake Long is a free agent and appears set to leave Miami, getting better receivers for Ryan Tannehill is crucial and improving the secondary is also important. This will really depend on who’s left on the board at #12. There’s every chance Luke Joeckel and Eric Fisher are gone by the time Miami picks, so do they take Lane Johnson? Do they draft a receiver here or wait until round two where they have a couple of picks? If Starks leaves and one or more of Lotulelei, Richardson and Floyd remain on the board, they could come into play. The Panthers have two big needs — cornerback and defensive tackle. There’s a lot of talk about Desmond Trufant and Xavier Rhodes being first round picks and teams do love to draft corners in round one. Dee Milliner will be off the board by the 14th pick. With all due respect to Trufant and Rhodes, they’d have to see corner as a pretty significant need to pass on one of the defensive tackles. Expect one to leave the board with this pick. In reaction to sporting the worst total defense in the NFL last year, Sean Payton is switching to the 3-4. Defensive tackle was a need for the Saints anyway, but it becomes even more crucial now that they’re switching schemes. No — they don’t have any obvious candidates to play OLB and get to the quarterback. But they also lack an obvious nose tackle. That’s usually the starting point for any team switching to the 3-4. 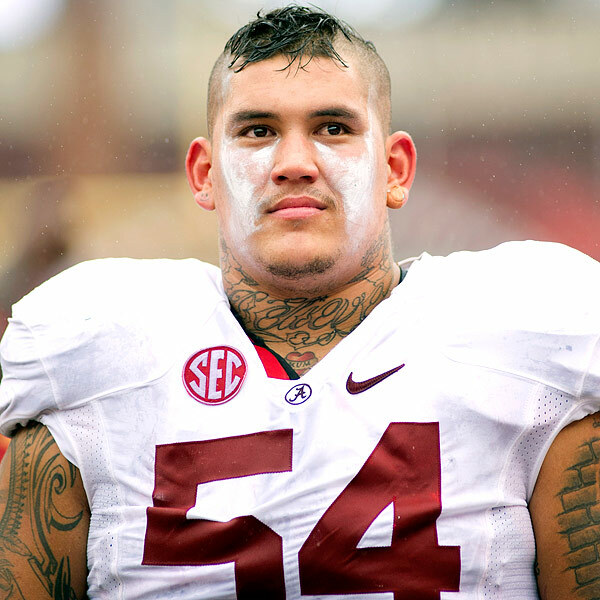 This pick shouldn’t impact the Seahawks too much given Lotulelei will likely be off the board at this time, meaning the Saints will either draft a big body like Jonathan Jenkins or Johnathan Hankins — or they’ll take an edge rusher instead. Dallas going tackle is more likely following the addition of Monte Kiffin, the switch to a 4-3 scheme and the recent arrest of Jay Ratliff. It’ll come down to Jerry Jones’ faith in Kiffin to work with what he’s got. The interior offensive line needs rebuilding and should be a bigger priority for the Cowboys, but the dramatic scheme-switch is a curve ball. They could draft a power end to play across fro DeMarcus Ware (Ziggy Ansah?) or they could draft a pure three-technique to provide interior penetration. 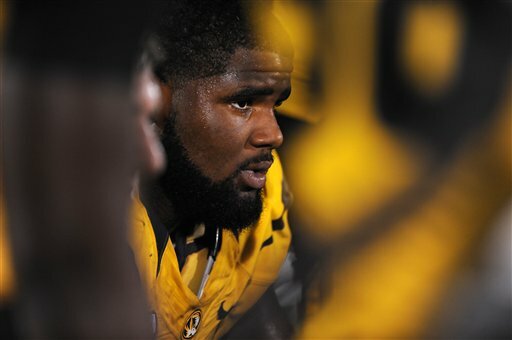 It’s worth noting Kiffin came very close to recruiting Sheldon Richardson to play for USC. Richardson played JUCO football in California and almost switched his commitment from Missouri to the Trojans. He cited Kiffin’s influence as the reason he almost made the change. Kevin Williams turns 33 in August and the final bricks in the ‘Williams Wall’ are starting to crumble and break away. The Vikings are unlikely to prioritise defensive tackle in round one, especially with bigger needs at receiver, linebacker, cornerback and guard. The concern will be Minnesota picks right before the Seahawks and if one of the upper-tier tackles does suffer a slight drop, they could steal in for value purposes. However, they could have their choice of the receiver class and if Jonathan Cooper slips to #24, the Vikings would be wise to pair him with Matt Kalil on the left side of the offensive line. When you see reports suggesting Sharrif Floyd could be a top-ten pick, you start to wonder if NFL scouts and GM’s view the likes of Loutlelei, Richardson and Floyd as superior to the edge rushers and other defensive players in the draft. If they’re rated near the top of most boards, you could see all three go in the top 10-15. It wouldn’t be a ridiculous proposition. In 2011 the Seahawks benefited from the first offensive tackle (Tyron Smith) not leaving the board until the ninth overall pick. The second (Nate Solder) was the #17 pick. Danny Watkins was drafted two places before the Seahawks took James Carpenter. A rush on the position early could’ve put Seattle’s front office in a position where they had to look elsewhere. Carpenter could’ve been the ‘tipping point’ in terms of drafting an offensive tackle in round one. I listed nine teams above and name-checked five tackles. If Seattle wants to address this position they’ll probably get the opportunity to do so. It’s a stretch to think Lotulelei, Richardson and Floyd will make it through all nine, however. Not impossible, just unlikely. Seahawks fans need to hope other teams prioritise quarterbacks and offensive tackles — as has been the case in the past. Whatever anyone says about this quarterback class, the new CBA makes it much less of a gamble taking a chance to find a franchise signal caller. Every team picking in the top ten except Detroit has a question mark at quarterback. In 2012 Justin Blackmon, the #5 pick, signed a contract worth $18.5m over four years. The #10 pick Stephon Gilmore agreed a deal worth $12.1m over four years. Compare that to the #5 pick in 2010, Eric Berry, who’s deal was worth $60m over six years, or the #10 pick Tyson Alualu who signed a $28m contract. Teams picking in the top ten these days can take more risks. In a year without obvious top-end talent, there’s a chance we’ll see multiple teams reaching for quarterbacks. Seven of the top ten are also breaking in new Head Coaches or GM’s. Will they be looking for ‘their guy’? Do players like Matt Barkley, Geno Smith, Mike Glennon and Tyler Wilson become more attractive on contracts worth around $12-20m? In that scenario you could be looking at the first defensive tackle leaving the board as late as #14 to Carolina. That’s the best case scenario for Seattle. It’s also probably wishful thinking. Yet there’s enough uncertainty surrounding the early picks that pretty much anything could happen — a rush on quarterbacks, defensive tackles, defensive ends, offensive lineman. This years draft more than any other is going to be completely unpredictable. And it wouldn’t surprise me if a number of unexpected players make it into the 20’s. I’m going to do a bigger piece on Kawann Short tomorrow. He might be Seattle’s best bet if they want to draft a three-technique with the #25 overall pick. One thing I noticed today though — Short will be 24 in February. Star Lotulelei will also turn 24 during his rookie season, while Sylvester Williams will be 25. On the other hand Sharrif Floyd doesn’t turn 21 until late May. Sheldon Richardson’s birthdate is unknown but he graduated from high school in 2009. That’s quite a difference and I wonder if age will impact how teams approach this group. The Senior Bowl always tends to be a perfect storm for lineman on both sides of the ball. They can just get at it, try to make plays whether blocking or rushing. It’s harder for the skill players to shine in games like this. A cluster of defensive lineman over the years have boosted their stock at this event and not really done anything at the next level. That’s the disclaimer out of the way. Having said all of that, Kawann Short and Ziggy Ansah were the two most impressive players on the field today, with Eric Fisher and Lane Johnson closely behind. Everything that is good about Short was on display in Mobile. He consistently knifed through gaps, penetrated into the backfield and caused constant problems for the offensive line. He was the only player to beat Kentucky guard Larry Warford (who was also very impressive overall) and it just seemed like you were noticing him every snap. Short had two near sacks to end the first half, combined with Sylvester Williams to blow up the interior on another play and started the third quarter by sweeping past Warford to drop the running back for a loss. With 2:31 left in the third he drove his blocker five yards into the backfield, collapsing the pocket and forcing Tyler Wilson to throw the ball into the ground to avoid the sack. There was no doubt in my mind who was the most impressive player out there today. Short turned up to play. A lot of scouts will put on the Purdue tape over the next week or two to go back and review his performance in 2012. They’ll see flashes of brilliance like this, but they’ll also see a lot of mediocre snaps. Short has enough pure talent to be right up there with the Sheldon Richardson’s and Sharrif Floyd’s of this class. But he does have a lot of mediocre tape to go with the good stuff. Playing like today he’ll have a shot to be a first round pick. His challenge will be to convince teams that he can play with a high motor. One thing I noticed is he looked a lot slimmer in Mobile and weighed just 308lbs. ESPN had him listed at 325lbs going into the 2012 season. If he’s working hard on conditioning that’s a great start because he always seemed to play heavy while carrying a little extra timber. Slimming down certainly had a positive impact today and he looked the part of an active three-technique. If the Seahawks aren’t able to address their lack of interior pass rush in free agency, on this display Short has to be an option early in the draft. I’ve included two pieces of game tape at the bottom of this piece. Ansah showed that despite all of his inexperience he’ll still be an intriguing player to NFL teams. At times he barely looks like he knows what he’s doing out there. When he locks into an edge rush and engages the tackle, he almost panics and doesn’t know how to counter. Yet when he doesn’t have to think too much and can just flow to the ball, he shows off supreme athleticism not matched by a defensive lineman since Jason Pierre-Paul entered the league. Today he was all over the field, recording 1.5 sacks, deflecting passes and making multiple tackles. He was involved from start to finish. On one play he managed to get away from a block that appeared to have him beat, only to race after and chase down Denard Robinson. He abused whichever poor tight end kept getting lined up against him on the right side. Late in the third quarter he avoided a low block to explode into the backfield and force a sack/fumble. He always plays stout against the run and today was no different — he consistently held his ground and couldn’t be moved. I’m not sure if Ansah is ever going to be a great sack-artist who really threatens off the edge. For that reason he might be better off lining up in the 3-4 at the five technique — this will minimise his need to get constant pressure and enhance his strong ability against the run. Any 4-3 team looking to invest in him should probably already have a proven, effective edge rusher on the roster — allowing Ansah to act as the left end. Some people had questioned what all the hype was about after a mediocre practise performance earlier in the week, but Ansah showed there’s a lot of raw potential to work with here. 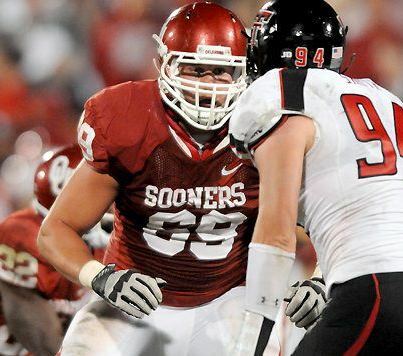 Eric Fisher and Lane Johnson look ideally suited to be franchise left tackles. Fisher has the classic combination of skills for the role and should be a top-ten pick. 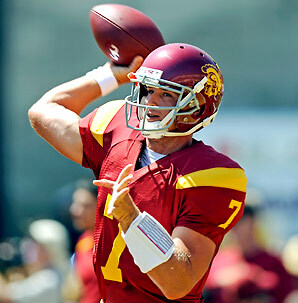 He’s good enough to make a team like Arizona consider passing on the quarterbacks early to ensure they get him at #7. Johnson is a pure technician who looks incredibly polished. He doesn’t have quite the natural ability of Luke Joeckel or Fisher, but he’s more than capable of slotting in as a rookie and protecting the quarterback. He’d be a wise pick for San Diego at #11 if the other two tackles are off the board. It’s hard to see where a third guard falls into the first round mix and Chance Warmack and Jonathan Cooper will be the first two to go. Larry Warford plays with great leverage, locks onto a defensive lineman and wins his match-up and is a big-time force in the run-game. Teams looking for interior offensive line help early in round two or even the last handful of picks in round one are going to get a very solid football player. If it wasn’t for Warmack and Cooper, he may go even earlier. In terms of the quarterbacks it was a mixed bag. Mike Glennon put some nice plays together in the second half including two terrific back-to-back throws into tight windows. He also missed a lot of easy passes in the first half as he struggled with accuracy. I like Glennon and there’s no reason why he can’t be a productive starter at the next level. However, he’s going to need some time to find a rhythm and patience from whoever drafts him. I doubt he’ll last much longer than the early second. Ryan Nassib was pretty hopeless overall and did nothing to help his stock. He threw an ill-advised interception into thick coverage (what did he see??) and was the victim of the Ansah sack/fumble. For all his physical potential (strong fast-ball, plenty of athletic quality and mobility) he just looks like a poor man’s version of Jake Locker. Kind of like Locker without all the X-Factor plays. He’s always been a mid-round pick at best for me. E.J. Manuel had a better performance, completing some nice throws and leading the south roster to all 21 of their points. He’s not a natural passer of the ball — he’s more of an athlete playing quarterback than an athletic quarterback. However, give me a player like this over a player like Nassib any time. Manuel showed some nice composure to find tight end Michael Williams in the back of the end zone for a score despite having Margus Hunt charging into his line of vision. I never really enjoyed watching Manuel at Florida State — he dominated bad opponents but never really looked the part against a good defense. There’s every chance he’ll be a round two pick due to his athletic potential. I think he’s a solid round three-type who would make a good back-up if nothing else. Tyler Wilson was neat and tidy completing a lot of short passes. He missed badly on an under-thrown lob for the endzone that should’ve been picked by Jordan Poyer. It was a little bit concerning given he doesn’t have the greatest arm strength and it should’ve been a touchdown. He didn’t blow anyone away today. Landry Jones did everything you’d expect. No mobility, completely panics at even the slightest hint of pressure, a complete lack of dynamism. On a 4th and 8 call in the first half he felt pressure and checked down to a covered receiver at the line of scrimmage. He heard about that on the sideline after. There is just absolutely nothing about his game that makes you want to believe he can be a starter in the NFL. Remember last year when even after a rank bad season he was still being touted as a possible first round pick? Nothing has changed since then. Except nobody refers to him as a first round talent any more. He took a sack to end the first half and you can just tee-off on him — blitz away because you know it’ll work. I wouldn’t even spend a 4th rounder on his services. None of the quarterbacks did enough to really enhance their stock, which makes this a great week for Matt Barkley and Geno Smith. Barkley didn’t attend as he recovers from a shoulder injury, while Smith just decided not to show. They remain the two quarterbacks most likely to go early in the 2013 draft. Sylvester Williams had some nice plays and generally played well alongside the dominating Kawann Short. He’s not quite as refined as the other defensive tackles expected to go early and could do with the same kind of conditioning Short has gone through. He can afford to lose a few pounds to increase his quickness and therefore his production. Datone Jones played defensive end and had some nice pressures. He’s not an explosive edge rusher and he has more success working back inside. The fact he played nearly the entire game at end emphasises how a lack of fit will hurt his stock — no matter how sharp he looks on tape. He’ll be really good value if he’s around in the middle rounds as a Jason Jones type versatile lineman. Margus Hunt was a big disappointment. He had a hard time even against right tackle Jordan Mills. There were a couple of times when he broke into the backfield, but he really needed to show more. There’s going to be concerns that he’ll struggle with leverage at 6-8 and while he has undoubted physical quality he also has to show a level of readiness considering he’s going to be a 26-year-old rookie. We saw none of that today — he looked inexperienced, lacked explosion and for the most part he was handled easily. You have to feel this week is going to hurt his stock a bit. There was none of the crazy pass-rushing quality we saw in the Hawaii Bowl. Linebacker Zaviar Gooden had an easy interception of Zac Dysert but flashed great speed and coverage skills. He made me want to go back and watch more Missouri tape. Likewise Sio Moore also warrants some greater attention. Duke receiver Connor Vernon caught everything, looked good adjusting to some poorly thrown passes and was Mr. Consistent on the day. He lacks game changing physical skills, he doesn’t look particularly strong or fast. His stock is pretty limited but he should get a chance in camp to try and win a job. Jonathan Cyprien — a safety from Florida International — looks like the real deal. Bacarri Rambo had an interception as per usual. Sudden first-round lock Desmond Tufant was avoided for the most part. Would the Seahawks really trade for Darrelle Revis? Knee injury or no knee injury, you’re going to show interest in Darrelle Revis if he’s available. We’re talking about one of the premier defensive players in the league. He’s only 27-years-old. Saying you wouldn’t be interested in Revis is like saying you wouldn’t be interested in J.J. Watt or Calvin Johnson after an ACL injury. You do your homework, check the price tag and review the situation. That doesn’t mean you ultimately make the deal, but the Seahawks are absolutely 100% right to keep their finger on the pulse here. Even if they have one of the best corners in the NFL already on their roster. The possibility of a Revis trade, first reported by CBS Sports’ Jason La Canfora, is no longer just a possibility, according to a variety of sources. The Jets are strongly leaning toward the trade and teams are considering giving up significant capital to get him. “There’s a Revis gold rush forming,” said a general manager. Some people will love the idea of the Seahawks being interested in Revis, others will say it’s unnecessary. I would say the right position to take is bang in the middle. Test the water, seek out the value. See what happens. Play it by ear. The worst case scenario is you walk away without making a trade. It’s glorified window shopping. If the right deal comes along, why wouldn’t you pull the trigger? You can never have too many great corners. With the greatest respect to Brandon Browner, a cornerback tandem of Revis and Richard Sherman would be a partnership for the ages. Revis has been shutting down the leagues best receivers since 2007. He was a superstar. The knee injury is a concern, but if Adrian Peterson can return to dominate the league again, why not Revis? The Seahawks have improved so quickly under Pete Carroll and John Schneider in part because they’ve refused to shut doors. When Randy Moss became available, they had a look. They spoke to Brandon Marshall in 2010. They traded for Marshawn Lynch when most of the league was put off by perceived character concerns. A 5-10 quarterback wasn’t considered too short to succeed. Not every idea leads to a deal being done, but why not keep your options open? Why wouldn’t they monitor the Revis situation? Improving the pass rush is the main priority this off-season, but how often does a player of Revis’ quality become available? Not very often. It makes sense to look into this, especially with the Jets reportedly so determined to arrange a trade. They’ll lose the player for nothing in twelve months, can’t use the franchise tag and don’t have the cap room to offer a huge extension. They’re handcuffed. They’re trying to get whatever they can. Cut their losses and run. It’s such a serious issue they’re supposedly willing to take a cap hit of $9m. New York’s desire for a trade and the need to pay Revis a handsome new contract might help drive the price down. That’s not to say the Jets are going to give him away, but there could be some value to be had for a team willing to pay what he wants. I’d even argue trading the #25 pick outright should be a consideration. The injury makes it a gamble, but what are the chances you’ll get a player of Revis’ quality with that draft choice? That’s not to say you definitely pull the trigger, but you at least consider it. This is a team ready to challenge for a Super Bowl. Adding a guy like Revis and working on the pass rush with the rest of your draft picks makes an already solid defense even stronger. It’d be an expensive, calculated roll of the dice. But who knows? You might throw a seven. Would you trade for Darrelle Revis? 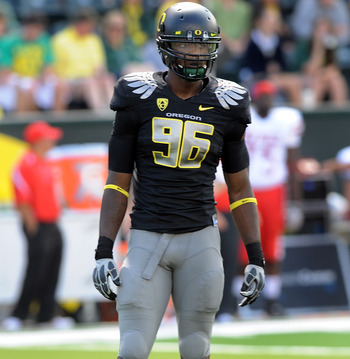 Sharrif Floyd... top ten pick? An aggressive move more likely this year? 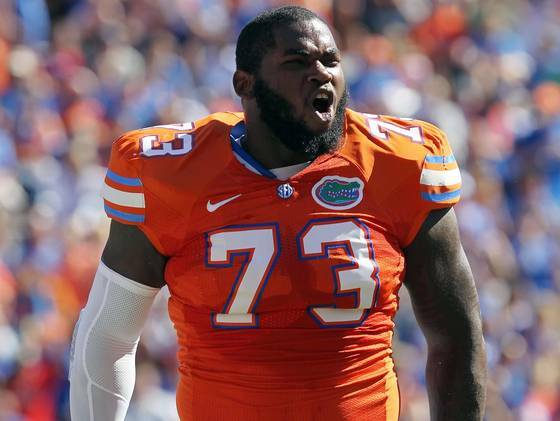 One junior player generating a ton of buzz is Florida DT Sharrif Floyd. Had one high ranking exec guarantee he’d go top 10. … I found it pretty disheartening. Pete Carroll’s been pretty open (again) about the teams biggest need this off-season. It’s refreshing honesty. He’s only stating the obvious of course, because everyone can see the pass rush needs an upgrade. But at least he’s avoiding the usual cloak and dagger approach taken by many Head Coaches. Sharrif Floyd is extremely athletic, he has a ton of potential. He has the flexibility to work in both 4-3 and 3-4 schemes. I can totally see him going within the top-15 picks, although the top-10 might be a stretch based on positional need. The thing is, until yesterday most people assumed he’d last a little longer than that. At least until the #25 overall pick. Presumably he’s going to be an addition to the defensive tackles already going early? Surely it’s not realistic to expect Sheldon Richardson or Star Lotulelei to fall dramatically enough to make it to #25? Or even into the #19-#24 range where a small move up the board would be manageable? Nick Fairley had similar red flags hanging over him in 2011, but still went #13 overall. I guess the three-technique position isn’t made for choir boys. You want attitude, a mean streak, to have that edge. It has to be natural. Darnell Dockett is the player he is because of the person he is. It comes with the territory. The concerns over Richardson could keep him out of the top ten, but all the way to #25? It almost certainly won’t happen. Tennessee, Carolina, New Orleans, Dallas (Jay Ratliff was arrested this week) and Minnesota would all surely consider drafting a defensive tackle. It starts getting expensive if you want to consider trading above Dallas at #18 — even more so when you talk about the others. Once Lotulelei, Floyd and Richardson leave the board — there’s really only Sylvester Williams as a pass rushing defensive tackle with first round potential. Johnathan Hankins can’t do it. Jonathan Jenkins is a big nose tackle. I think it’s too early for Kawann Short (whose inconsistent motor is a big turn off) and Datone Jones is a nice, penetrative defensive lineman but he just looks too slim to be an every down tackle. He’s a light looking 280lbs. He might be better suited in the Greg Scruggs and Jason Jones role. Can he put on another 10lbs and stick? He’s been as light as 260-270lbs in college. With a likely rush on defensive ends also very possible (Damontre Moore, Bjoern Werner etc could all be top-ten picks), at #25 the Seahawks could be making a decision over the seventh or eighth best defensive lineman. Looking back at 2011, I think they were determined to draft an offensive lineman. Carroll wanted to improve the run game, he drafted John Moffitt after James Carpenter and then added Robert Gallery in free agency. Carpenter was the fifth lineman off the board after Tyron Smith, Nate Solder, Anthony Castonzo and Danny Watkins. Castonzo wasn’t a good fit at right tackle or guard, but I think the other three names plus Carpenter could’ve made up Seattle’s tipping point at the position. No Carpenter at #25? Maybe they look elsewhere, perhaps draft Jabaal Sheard? This is the point I’m getting at here. What is Seattle’s tipping point this year? Who has to leave the board before you either move up or move on? John Schneider recently compared trading up in the draft to spending big in free agency. In order to improve the pass rush effectively, the Seahawks might have to do one or the other. Seattle got agonisingly close to the final four this year. Going into next season without the final pieces of the puzzle appears almost unthinkable. If there’s a time to be aggressive, is that time now? You offset that by looking at all the teams over the years that moved away from their philosophy chasing the dream. A calculated approach has worked so far, changing that plan could backfire. In a bad way. This is the crucial dilemma facing the Seahawks. Clearing the last hurdle might be the toughest challenge so far. I don’t expect any big moves up the board in round one, involving future first round picks. It’s worth remembering though, that this is a front office that spent a third round pick and took a second round hit on Charlie Whitehurst. You can look at that in two ways. One — being aggressive didn’t work in that instance. Two — this is a team that is prepared to go big to fill a key need. At the time, long term stability at quarterback was the big need. Now it’s the pass rush. We all expect Schneider to cherish his picks and rightly so given the teams success rate in the draft so far. I’d still argue a modest move up the board this year is more likely than any other so far. Last year the Patriots of all people traded up, searching for that crucial pass rusher. A leap from #27 to #21 cost Bill Belichick a third round pick. Theoretically a jump from #25 to #18 or #19 would come with a similar price. It might not be enough to get at the top defensive lineman but if there’s a guy there at #18, #19 or #20 — you’re looking at a third round pick to get it done. And regardless of what happened with last year’s third rounder, it’s a small price to pay to put the pass rush on track. Chiefs not re-signing Branden Albert? I don’t mean to be a tease but I’m not a reporter. So some stuff you have to trust me on. KC’s not re-signing Albert. There’s no way of testing the legitimacy of this ‘report’. We have no idea how well sourced this guy is, or if he truly did work in the NFL. His Twitter bio reads: “This account will only last until I’m back in the league.” I accept that in highlighting this tweet I might just be endorsing a classic internet deception. There are plenty of people on the internet claiming to be in the know. Those acting anonymously will always be looked at with a degree of suspicion. At least until they’re proven right. It’s not a ridiculous suggestion by any means. Albert will expect to be paid like a starting left tackle. Although the Chiefs have an incredible $62.995m in cap room this year, they’re not at liberty to spend it. What if Andy Reid just doesn’t rate Albert? They don’t have to draft Luke Joeckel with the #1 pick if he walks. They have the #2 pick in round two. They have the freedom to go after a free agent tackle like Jake Long. 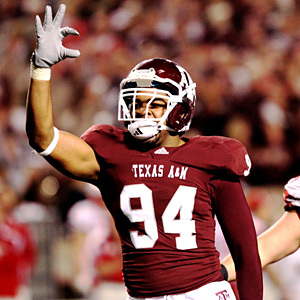 If they do like Joeckel enough to draft him with the first pick, they can always draft a quarterback in round two. Or even trade back into the first. In fact we could see a lot of movement on day one if the quarterbacks don’t rush off the board. If Kansas City (Joeckel), Arizona (Eric Fisher) and Buffalo (pick anyone) don’t draft quarterbacks in the top ten, they could look to trade up. The problem is — what kind of value will be on offer to make such a deal? Tampa Bay traded from #36 to #31 last year by simply swapping fourth round picks with Denver. You’d have to be pretty desperate to trade down with that offer on the table. There won’t be a big drop off between a pick in the 20’s and the top of round two which might encourage some teams to take any value. Free agency can’t come soon enough (it starts March 12th) so we can stop speculating and start to piece together what teams might do when the draft begins. The real value in terms of pass-catchers is likely to come in the late first or early second. DeAndre Hopkins deserves to be a round one pick. Robert Woods is criminally underrated and not getting anything like enough attention. Markus Wheaton is also a better player than he gets credit for. I keep seeing Keenan Allen and Justin Hunter as top-25 picks, but where’s the evidence for this on tape? I just don’t see it and expect both to be available in round two or even round three. Terrance Williams looks set for a place in the second round. And there’s going to be guys like Tyler Eifert and Gavin Escobar in the mix too. Yet the player I’m watching the most tape of at the moment is Stanford’s Zach Ertz. I know the Seahawks need pass rush help. Part of me hopes that can be addressed in free agency to set-up the possibility of Ertz being a first round option. If they’re able to go out and get a Randy Starks and a Cliff Avril or Osi Umenyiora, then bring it on. I’m not a big fan of chasing needs in free agency, the previous regime in Seattle did it way too much. But I am a fan of drafting Zach Ertz. The way I see it, it’s very difficult to take the top off a defense and throw in behind — exploiting the deep speed of a receiver. Only a few guys can do this. The best receivers in the NFL right now are mostly big guys who can run, or at least big guys that create mismatches. When I watched the Seahawks last year, there seemed to be an awful lot of jump ball situations, challenging the receiver to exploit single coverage and make a play. Drafting a smaller, speedy receiver like Robert Woods, Markus Wheaton or even DeAndre Hopkins might not suit this offense (although I think Hopkins plays above his size). Sidney Rice is 6-4 and 202lbs. Golden Tate is 5-10 and 202lbs. Doug Baldwin is 5-10 and 189lbs. Apart from Rice’s height, there’s not a great deal of size there. I think the Seahawks would welcome a bigger, possession style receiver who can still get around the field and make athletic plays. That’s where Ertz comes in to play. 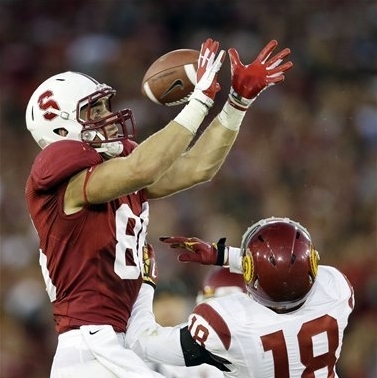 Although he’s listed as a tight end, he played everywhere for Stanford. Out wide, in the slot, at the line of scrimmage. Whoever drafts him should use him in exactly the same way. Linebackers will struggle to cover him as the third receiver. He can work as the #2 alongside Rice. He can play as the #1 or #2 tight end. You could even run sets with all three of Zach Miller, Anthony McCoy and Zach Ertz on the field in a heavy package, enhancing both the running game and play action. As you can see with this deep completion against Wisconsin in the Rose Bowl, he can get downfield. Drafting Ertz wouldn’t be so much grabbing a replacement for McCoy as the #2 tight end. It’d be more a case of adding a hybrid TE/WR who can act as a dynamic possession receiver. Not many 6-6, 252lbs players move around a field like Ertz and possess his level of catching ability, consistency and playmaking quality. He might not be there by the #25 pick. Unfortunately I suspect he won’t get past Chicago at #20. If the Seahawks can find a solution to their pass rushing woes in free agency, at least they’d be able to give drafting Ertz some serious thought. I watched some Detroit Lions tape yesterday to look at free agent pass rusher Cliff Avril. He’s an effective edge rusher, with great balance and lean and when he’s lined up against a right tackle he causes a lot of problems. But there’s one thing that kept jumping off the screen. Something that smacks you in the face it’s so obvious. Interior pressure collapsing the pocket. Time and time again. It was 2011 tape, Ndamukong Suh’s weakest season statistically. He had four sacks in 14 games that year. Yet it was clear as day what an effective force he continued to be. On almost all of Avril’s 2011 sacks, Suh crashes the pocket preventing the quarterback from stepping up — essentially making him a sitting duck for the speed rush off the edge. The Seahawks in 2012 created almost no push up the middle and never truly felt the maximum benefit of a defensive end (Chris Clemons) who — like Avril — can lean, accelerate and finish. Nobody should doubt that Clemons is one of the most underrated players in the league. Three straight seasons with double digit sacks as the only pure pass-rusher in Seattle’s base defense is incredible. He’ll be a huge miss if he starts 2013 on the PUP as he recovers from ACL surgery. Finding a defensive tackle who can be productive on the stat sheet isn’t imperative. The Seahawks just need someone who can make life easier for whoever’s playing the edge. Of course it’s very easy to point to Suh and say, “just get someone who does that.” He’s a unique and gifted player. The type you need to be picking in the top two or three to get any shot at. You can’t expect to find the next Ndamukong Suh with the #25 pick. The three-technique is one of the single hardest positions to judge based on college tape. It’s such a rare blend of speed and relative size, plus burst and aggression. Without just going out and throwing money at a proven commodity, it’s a difficult hole to fill. During my time writing this blog only one prospective three-technique has performed so well on tape, there was no doubt his skill set would translate to the next level. That was Suh. Most of the defensive tackle videos I’ve watched since have been mediocre or incomplete. You’re almost always left wanting more — greater strength against the run, quicker burst, more size, a nasty streak. It is so hard to find the ‘ideal’. Players like Nick Fairley and Sheldon Richardson come close, but even they had some flaws in college. It’s almost like you have to accept some rough edges. It might be a pick based more on potential, frame and athleticism rather than production and tape. And then you ask yourself — can this player be Geno Atkins? Or will he be just another bust among many? I wanted to do a mock this week where the Seahawks draft a defensive tackle in round one. And it really came down to two players. This was just one of many positive reviews, so I looked at a few UCLA games from last season. Jones definitely stands out as a penetrative force. He has a knack of getting into the backfield, flashes nice burst and an effective swim/club move. Despite not being the biggest lineman he doesn’t get destroyed against the run. You start to wonder if he could work his way into becoming a disruptive three-technique. The big concern is going to be his size against bigger, more physical lineman. He could be a liability against the run at the next level. Whenever you’re talking about a 280lbs player starting inside, it’s a concern. 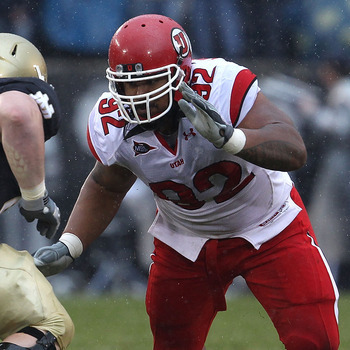 However, the Seahawks have been at least willing to give Greg Scruggs (285lbs) some snaps in that position. If you’re willing to accept he’s going to get blown up sometimes, you could end up with a pretty good pass rusher. He needs to learn to finish — often he doesn’t make best use of his ability to live in the backfield, either failing to track the play or just not executing. I’ve included tape above of his performance against Stanford in the PAC-12 title game. Pete Carroll recruited Jones at USC so he’ll know about his potential. It might be a stretch to think he could jump onto Seattle’s first round radar, but stranger things have happened. A strong Senior Bowl is aiding his cause. He just gets edged out this week by Florida’s Sharriff Floyd. I talked about him in greater detail on Monday and although he’s divided opinion somewhat on this blog, I do think he’ll receive some consideration. I went back and looked at some Gators tape from 2011 to watch Jaye Howard again — and the difference between Howard and Floyd was tangible. We’re talking about a whole different level of athlete. Floyd’s only scratched the surface of his potential so far. I still think he might be best suited to the five technique but there’s no doubting he has some untapped potential as a pass rusher. The Seahawks know more about this guy than anyone in the NFL given Dan Quinn’s time in Florida and Pete Carroll’s background recruiting him for USC. Nobody will be left wondering about this particular prospect if they pass. If you want to watch his two-sack performance against Louisville (full game) click here. Note — I have only one quarterback in round one this week. However, I think as many as three or four could go on day one. We could see teams trading up into the late first. I don’t include trades in my mocks — if I did — you’d see four quarterbacks in the top-32. Matt Barkley, Tyler Wilson, Geno Smith and Mike Glennon. A lot of people want to tell you this is a bad year for the position. It isn’t a bad year. It’s just not an Andrew Luck/Robert Griffin III year. I’m going to settle on this pick for the time being. Kansas City needs a quarterback. Barkley should be the first to go. Gus Bradley needs a pass rusher and Werner could be the choice after a 13.5-sack season. Both of Oakland’s starting defensive tackles are free agents. They had the second worst pass rush in the NFL behind Jacksonville. The Lions could use an edge rusher, especially if they lose Cliff Avril. 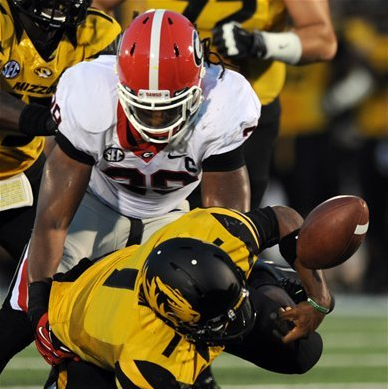 Moore had 12.5 sacks in the SEC this year. Don’t fight the board. 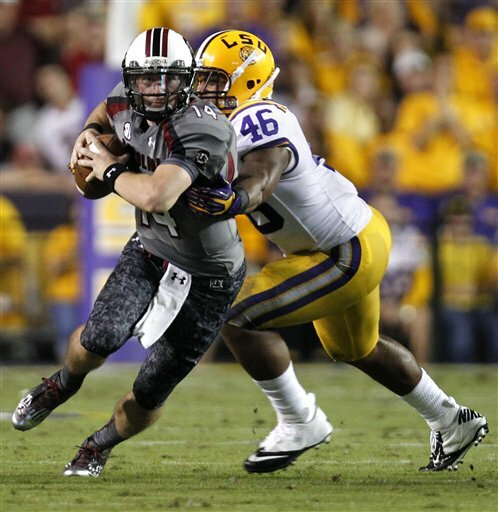 The Browns have bigger needs but Warmack is immense. They’ll need to really distrust the QB class to do this. But they DO need a left tackle. 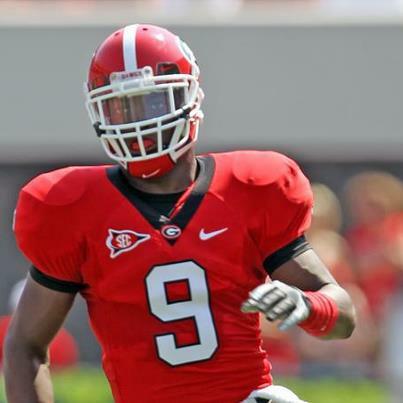 Ogletree might have the biggest upside in the entire draft. Get Revis back, plug in a speedy pass rusher and New York’s defense will be scary. In a good way. Unlike the offense. The X-Factor player of this draft. The complete cornerback. This would be a steal. Nice size with an effective swim move and burst. Lot’s of upside but is he enough of a threat rushing the edge? Out of all the safety’s in this class, Vaccaro is getting talked up the most. He’s a solid football player. This could be their biggest need. It’s a reach, but Dallas needs to fix their offensive line. And it starts with the center. New York should skip to the podium if this happens. Terrific tight end prospect. Could go even earlier. Will they switch to the 3-4 if they appoint Rob Ryan? If so, plug in a nose tackle to take up blockers for Long, Quinn and Brockers. Big body, intelligent player and looks made for a man-blocking scheme. DeAndre Hopkins is a fantastic receiver. Simple as that. Supreme athletic potential, has history with both Pete Carroll (recruiting) and Dan Quinn (coaching). His best fit in my opinion is at 3-4 end. I’m not a fan. He’s just a big body. I guess that works as a nose tackle. After that playoff defeat, surely the secondary has to be a target area for improvement? They also need to upgrade that secondary. The spinal stenosis issue will need to be tested thoroughly. He’s a fast riser and dynamic pass rusher. Could go earlier than this. Khaseem Greene a mid-round target? The Seahawks appeared to be sending scouts to Rutgers on a fairly frequent basis this season. Chris Steuber — a draft analyst formerly of Fox Sports — noted Seattle’s attendance on several occasions. Initially I presumed they were keeping tabs on massive receiver Brandon Coleman. That presumption was probably incorrect. There’s every chance they were keeping a closer eye on linebacker Khaseem Greene. The Seahawks don’t blitz a lot and rely on a front four to create pressure (with mixed results in 2012). Pete Carroll wants turnovers — and the best way to do this is to create pressure in a base formation allowing your linebackers and defensive backs the chance to make plays. Don’t give up big yardage on early downs. Force teams to throw and therefore make mistakes. A lot of the time Bobby Wagner, K.J. Wright and Leroy Hill were asked to react to the play, use their instincts and swarm to the ball. There wasn’t much pass rush responsibility on the linebackers last year and it showed — they had only 4.5 combined sacks between them. Mobility, quick reactions, finishing ability and coverage skills appear to be much more important than how well they get to the quarterback. 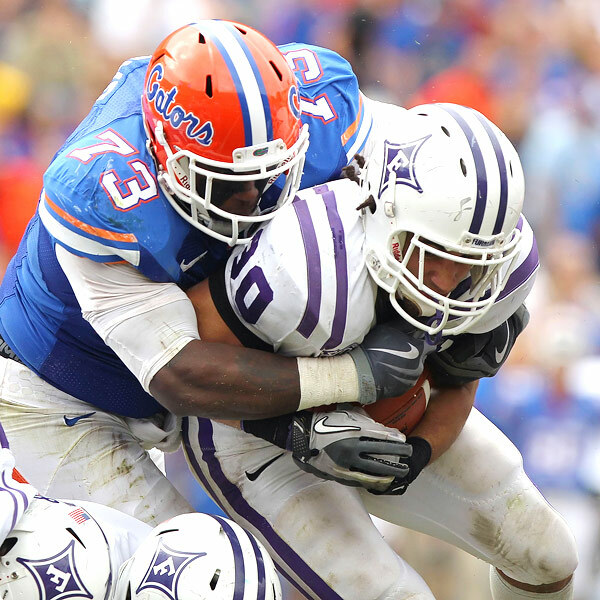 For those reasons, Khaseem Greene is a likely target in the 2013 draft. He’s a converted safety without ideal size (6-0, 236lbs). He didn’t switch to linebacker until 2011 and he still flashes some of that safety speed whether it’s running sideline-to-sideline or sifting through traffic to make a play in the backfield. Greene has a real nose for the ball and just seems to make sound judgements most of the time — knowing when to attack and when to sit in coverage. He’s extremely reactive. Some teams will be put off by the way he approaches the line of scrimmage. I’m tempted to say he’s ‘delicate’ taking on blockers — he just doesn’t show a great deal of vigour or desire to get involved. He gets engulfed by physically superior lineman, he never really engages and doesn’t have a counter. If you were asking him to play a lot up at the line, you’d be concerned. He’ll be a non-factor most of the time in those situations. And it does limit his stock quite a bit. He also lacks the explosive range we’ve seen from some other prospective WILL candidates in this draft class. Alec Ogletree is another converted safety and a likely top-15 pick — I’ve not seen a linebacker drop 20-25 yards and pick off a deep ball before like he did against Ole Miss this season. Greene isn’t going to be doing anything like that and he also compares poorly against a player like Arthur Brown, who’s quicker and covers ground better, but is also undersized. However, there’s no doubting he can cover and Greene’s ability to make consistently good decisions on the field gives him an edge. Seattle’s use of the WILL is perfectly suited to avoid having to do too much at the LOS. It’s a nice fit for Greene. It’ll allow him read the plays, stay in coverage and let his instincts to do the work. He’s better at letting a play develop, getting through the bodies to sniff out a screen or grab the ball carrier. He has the closing burst to execute and make plays. But he has to stay clean. Greene’s not such a great athlete that you’d feel obliged to keep him on the field in nickel situations. He could be a solid two-down linebacker though, taking away the kind of inside routes that killed this team in some key 2012 losses. He’s incredibly aware of underneath coverage and excels here. While improving the pass rush is key for the Seahawks this off-season, they also have to find a way to stop getting beat by slot receivers and underneath routes. Matt Stafford, Alex Smith and Ryan Tannehill had a field day in that regard. Death by checkdown. His tackling form is generally good — although as is the norm for the modern day linebacker or defensive back, he sometimes leaves the ground to go for the big hit and it’ll lead to the odd missed tackle. He has solid body control and doesn’t get twisted around or caught off-guard. He rarely loses balance. Greene’s a fifth year senior with a metal plate in his leg following a nasty broken ankle in 2011. Despite a terrific résumé during his time in college, I just have a feeling teams are going to look beyond Greene. And the Seahawks or another like-minded franchise will take advantage. He’s the kind of player you can just imagine John Schneider and Pete Carroll getting in round three and turning into an instant impact starter. Although there haven’t been many candidates for this honour, he’s been touted by the Rutgers media as the greatest defensive player in school history. His response to that suggestion? “I just want them to remember me as a great guy, great leader and a great team mate.” It all sounds very familiar. He was a big time leader for the Scarlet Knights during the last two years. He added some weight prior to the 2012 season and at times during the season it appeared he was struggling to adjust. It’s tough to go from around 220-225lbs then suddenly work at 10-15lbs heavier even though you’re still required to flash mobility and range. By the end of the year he’d got to grips with this and his bowl game performance against Virginia Tech (see above) was impressive. Look at the way he recognises the screen at 2:57, doesn’t react too quickly and swarms to the ball. It’s a nice hit too, jolting the ball-carrier as he hits the turf. At 6:28 he makes a nice drop on a blitz look, taking away Logan Thomas’ apparent second read and forcing a bad throw. At 6:59 he dips in-side from a starting position on the left edge, avoids the blockers and makes a nice play to get the quarterback out of the pocket (Thomas still manages to break contain, but it was a good play by Greene). He times his blitzes very well, looking silky smooth attacking the line and judging the snap count perfectly. If he avoids contact, the quarterback’s in trouble. And then of course there’s the first play on the tape — a forced fumble in the end zone which he recovers for a touchdown. There’s also a lot of snaps on that video where he’s ineffective — getting blocked or just inconsequential to the play. We’re not talking about a can’t miss athlete here that’s going to garner a lot of hype in the first two rounds. He’s pretty scheme specific and fortunately for the Seahawks, he’d look good on their defense. It’ll be interesting to see how he runs at the combine because Carroll is looking for speed at the WILL — it’s why he’s been keen to force Malcolm Smith onto the field in place of Leroy Hill. Smith could get the opportunity to win the job full time in 2013. Drafting a linebacker still remains a distinct possibility. Greene is one to keep monitoring. At this stage I think it’s most likely they’ll target the defensive line and a pass catcher with the first two picks (unless an Ogletree or Brown is on the board at #25) but Greene would be a nice fit for this team at any stage beyond the first two rounds if he’s still available. Jene Bramel of the New York Times asks the question — How relevant is the Senior Bowl? Daniel Jeremiah also discusses which players have emerged so far during the first two days of practise — although his suggestion that Landry Jones is helping his stock flies against most other reports so far. There are so many contrasting opinions from the Senior Bowl — making it almost impossible to know who’s performing well or not. A lot of tweets I’ve noticed over the last 24-48 hours seem to be heavily influenced by preconceptions and favourites. McShay was also critical of Purdue’s Kawann Short, claiming he took plays off during team drills. “On one play, it almost seemed as if he had a gentleman’s agreement with (Ricky) Wagner, who steered Short inside easily.” This has been a criticism labelled at Short several times during his college career. Pauline also recorded a piece for ‘Inside the Jaguars’ looking at some of the defensive ends in the 2013 class (fast forward to 3:46). I’ve long suspected that if Seattle cannot trade Flynn, they’d release him. Aside from the teams likely desire to find a back-up more akin to Russell Wilson’s physical skill-set, they don’t need to be paying a back-up quarterback around $5-7m in 2013. I believe they can make a saving of around £3m by cutting him this year — and that’s crucial money whether you want to invest in free agency this off-season or push unused cap space into next year when key players begin to hit free agency. A lot of people would frown at such a move, but then I think Flynn is pretty overrated. Apart from there being better ways to spend his salary, it also makes little sense having a dynamic, Pro-Bowl quarterback on your roster earning over seven-times less than the back-up earns.